You are currently browsing the category archive for the ‘Tatiana’ category. Swimsuit season will be here before you know it, so working out to be in shape is on the mind of many. Also, working out to just feel good, to be healthy, to move and do right by your body, is often on my mind, as it is probably on yours. Yet, working out can be such a CHORE! Do you have a hard time motivating yourself to work out?! I have identified a few easy ways to get over the mental barrier of moving. This is how I get my daily movement in, and it’s been working pretty well for me so far. 1) Take a CLASS! If you have taken an exercise class before (either yoga, pilates, aerobics or group strength training, among many others), I am sure you will agree with me (feel free to chime in here!) that classes are DYNAMIC. Classes are INVIGORATING. Classes are FAR LESS BORING THAN WORKING OUT ON YOUR OWN. And – yes, it’s true – classes are FUN! While the idea of taking a group class might be a bit daunting at first (“I’m so uncoordinated!”, “Will everyone be looking at me?”), they are truly an excellent motivator for getting your body moving. All you have to do is find your class, schedule the time in your calendar, get dressed and show up. Once you’re there, the (mental) work is done for you! The beauty of taking a class is that there is an instructor available to guide your movement with the appropriate varieties and repetitions, and, more importantly, to KEEP you moving! The instructor will keep count. The instructor will keep time. And she will not let her students stop until class is over! Furthermore, the class is self-policing: other class members along with the instructor are keeping you honest – making sure you keep up with everyone else and don’t just quit. They are holding you accountable to be productive during the hour that you spend in class. It’s the perfect economical alternative to personal training and, in my opinion, is even better than that. As an added bonus, you can make friends and workout buddies! So, how do you join a class? Find a YMCA. Or check out the offerings at your local gyms – most offer free classes (with membership) of varying kinds several times a day. 2) WALK! You’ve heard it before, and you’ll hear it again. Walking more, taking stairs instead of the elevator, and just moving (errands, shopping) are a perfect way to clandestinely slip in your workout, without really letting your mind know about it! So take your dog for long, brisk walk (it’s good for him, too!). Walk to and from work if it’s within 2 miles from where you live (for city dwellers). 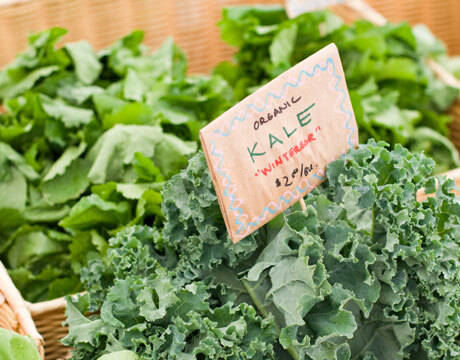 Walk to your grocery store and lug home your groceries – don’t have them delivered! And when you walk, walk with PURPOSE! Don’t stroll – MOVE! Make the most of the distance you need to travel by moving quickly and getting your heart rate up. 3) CLEAN! Spend time cleaning, lifting, moving, whatever! Instead of hiring a housekeeper, do it yourself. Vacuuming, sweeping, washing, bending over and standing up – these are all exercises in disguise. You will feel doubly productive because you are cleaning your space, too. Do you have other ideas or tips to share? If so, please do – comment away! I hope you find these helpful. They call it Spring Cleaning for a reason – because it takes place in the SPRING! And yes, that time is just around the corner. Spring cleaning is something I take seriously, and engage in fully at or around this time of year, after the holidays have died down and before the warm weather, spring holidays, birthdays and trips really kick off. While I tend to be one to throw out, repurpose, recycle or donate uneeded or unwanted itmes fairly regularly, things (papers in my catch-all, files on my computer, unused household items, unworn clothes) take up space quickly and really seem to creep up on me if I don’t engage in a total purge at least once a year. Spring cleaning is also a nice time to find things that you may have stored and forgotten about (out of sight, out of mind, right?) and bring them out and to life in your daily existence. A loved duvet cover. A throw pillow. A vase or pencil holder for your desk. 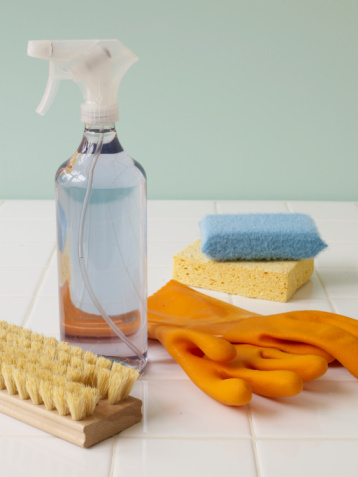 Follow these suggested cleaning areas for a successful Spring cleaning of your own. They seem obvious, yes, but you’d be surprised what you can forget about and how overwhelming this overhaul can become! Do a general sweep of your house across all visible areas. Closet – clothes and shoes! Donate the unused to goodwill. Medicine cabinet and toiletries – expired anything needs to go, unused beauty products should be tossed if older than 1 year! And my final wisdom: There is no such thing as a junk drawer! I abide by this rule, and it helps me keep everything running smoothly. Everything has a place, and if it doesn’t, then guess what? You don’t need it! Carve out time to clean your surroundings this spring. Try it out, and you will see how good it feels! We are 4 days into the first-ever Spark! Wellness / Choosing Raw cleanse, and what do I, a level-3 participant, have to say? That this is the best thing ever – I should cleanse more often! Admittedly, I am only on day 3 myself – I had to skew my start-date just a bit due to international travel and my inability to adequately pre-tox. But, I am going strong, feeling great, and ready to plough through the remaining days of what is, for me, a much-needed, focused effort on taking charge on my nutritional well-being and health. I am sure most of are enjoying your repsective cleanse experiences as much as I am – each for your own reasons. Judging by the comments on the level-3 forum, while some of us are experiencing a few road blocks and frustrations that are common to detox, on the whole, this cleanse is enabling us to do the very best for ourselves and our bodies, and is worth the frustration of having to resist our favorite indulgences for some time, and teach our bodies to embrace what is needed for our true nourishment. Why am I loving this cleanse? First and foremost, it is an exercise in building discipline. Knowing that introducing ‘cheat foods’ or foods that are totally not allowed at all can interrupt the cleanse process makes me all the more willing and determined to stick to Gena’s carefully planned out regime. I certainly want to make the most of these 10 days, and know that my body needs it, so there is more at stake and less of a reason for me to cheat. Hopefully, and ideally, this exercise is helping me to build the same discipline for when I am not cleansing, so that I can resist and/or moderately eat certain foods more regularly and without succombing to cravings. I am enjoying my meals. Knowing that every last bit of food I am consuming is packed with nutrients that I need (instead of fillers and additives, as with processed foods), I find that I am enjoying my meals and appreciating the wonderful fruits of the earth that were designed to so efficiently and thoroughly nourish our bodies. It’s so refreshing to have in front of you only whole, natural foods, not pre-prepared, processed complete meals. Gena mentions in our cleanse packet that food preparation in a high-raw diet is an opportunity for ‘culinary artistry,’ and I am finding just that! While Gena has provided a delectable bank of recipes based on her tastes and preferences (no garlic and onions! ), I have been able to make my own versions that suit my tastes (lots of garlic and onions!, among other things). 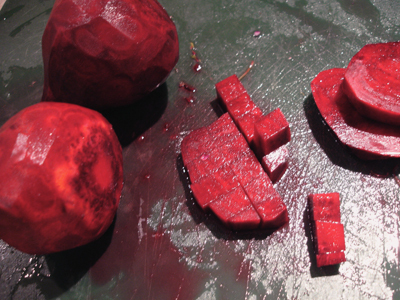 I have already created several soups and juices that I will continue to make in the future for myself and others. I found my new quick-and-easy packaged snack: Larabars. I have known about them for quite some time, but I always would shy away from them because they were packaged, and would opt for fresh fruit as a snack instead. While I realize that they are technically ‘processed,’ they are only minimally so — they truly represent a convenient, nutrient-packed snack that contains only natural ingredients (read: nuts, fruits, and a few spices). Try them if you haven’t done so already! My favorite flavor: peanut butter and jelly, which is the new kid on the Larabar block! Happy cleansing, cleansers! I hope that you are finding this experience as rewarding as I am finding it to be. Like many of you reading this, I am participating in the upcoming, first-ever Spark! Wellness / Choosing Raw 10-day Cleanse, to which I am eagerly looking forward! I am a level-3 participant, having eaten a plant-based diet for most of my life, and having a preference for raw foods. I am now ready to try an even higher-raw, all-vegan diet! Of course, I had a few questions ready for Andrea, Hadley, and especially Gena, who is leading my level of choice, but I didn’t even need to ask them, since so many of you did the asking during this evening’s informational call! Tone down your activity, since you may find it more difficult to keep up with your normal exercise routine if it is too vigorous and you are not nourishing your body in the same way it is used to. Of course, you very well may find yourself very energetic and able to do more than usual, but proceed with caution. Your body will be experiencing a change, and will have its own adjustments going on. For my fellow level-3 participants: a blender and/or juicer will come in handy, so if you want to make the investment, borrow a friend’s, or dust off your old one, go for it! You should not and will not feel deprived on any of the levels of this cleanse. It is not a ‘fad’ detox or a quick-fix diet. It is a way of jump-starting your body to achieve lifelong, healthy changes to your well-being. Our cleanse leaders were also certain to remind us all of something important: *As with any exercise routine, change in diet, or other regime that you are undertaking, be sure to check with your doctor first. * I have done this already, and strongly advise that you do, too, especially if you have any pre-existing conditions or health concerns. Stay tuned, and the recording from this evening’s call will be provided for those of you who couldn’t listen in live. I should also add, which I just learned today, that Veg News made mention of this cleanse, in what is an inspiring article for looking at the new year. I had the pleasure of listening to Veronica’s free teleclass on de-stressing yesterday evening. It was the greatest 30 minutes of my day, not only for the profound insight and advice she provided, but because of the way in which she delivered her information. Veronica has a soothing voice, is very well spoken, and went through her 10 de-stressing tips as though she was aiding in meditation, yoga, or relaxation. If you were not able to enjoy and learn from Veronica’s wisdom, look to these recap points below. Breathe, and breathe well. Proper breathing is a priority, and you should make ityour first go-to tool to help you in times of stress. Your lungs are three dimensional, and so should be your breathing. This means taking the time to breathe fully, allowing the air to fill your lungs as you inhale, and totally expelling the breath when you exhale. Return to anatomical position. Veronica brought up a great point that I never really think of. We spend nearly our entire lives in various positions; we sleep in a fetal position, and we likely slouch in our chairs at work or sit cross-legged, all of which cause further tension and do not help in relieving stress. For this reason, when stressed, it is important to make a deliberate effort to return to ‘anatomical position,’ a position that is comfortable, strong, and grounding. The yoga pose tadasana, or ‘mountain pose,’ allows you to stand strong with the proper amount of space between your bones. This pose is exemplified in DaVinci’s anatomical man – the shape of oppenesss, strength, and alignment. Veronica even advised to post this famous picture on your desk as a reminder to take on this position from time to time. Step away. When presented by a stressor, whatever or whoever it is that is stressing you will be still there after you step away, but you might be in a better frame of mind when you return and approach it anew. Exercise. There is no underestimating of the numerous benefits that exercise provides. It provides feeling of achievement. It gives your body the chance to strengthen itself. A common misconception and question you might ask yourself: doesn’t it take more time, leading to more stress? And Veronica’s answer is no. She advises this: Do what you like — what you like and what is familiar is healthy, stress-relieving, and you likely won’t even consider it exercise. If you are not sure what feels good, try a bunch of activities. Decompress before you get home. Make your home a sacred space. Ask yourself: Do you need to bring this home? Do you need to bring this home now? Most stressors can be cast away and checked at the door. If you work from home and can’t always check your stress at the door, identify a trigger ritual that allows you to separate yourself from the end of you day, such as circling your dining room table a few times and thinking about all of the things you don’t want to ‘bring home with you,’ letting them go. Eat. Eat things that are good for you and your body. But by ‘eat,’ Veronica does not only mean food, she means nourishment — taking in things that you need to be well. Eat food that is good for you, but also nourish yourself with other things that are good for you — enjoyable activities that you deserve in your life. Take a time out. Even 5 minutes will provide clarity for a situation. Call a lifeline. One way to take a time out is to call someone you care about and who cares about you, a friendly voice, with whom you can discuss your situation and get additional perspective. Doing this can provide comfort and make your stressor seem less significant. Make a plan. Once you take your time out and call your lifeline, there may be things you cannot let go of. Some cannot be resolved. Set a timetable and prioritize, and identify a way to move through your troubles. Change one small thing. Veronica explains how changing one thing, one aspect, of your life changes the way you treat the rest of it. When you choose to be present in your own life and purposefully make a decision toward changing one thing, there is a shift in everything else. She gave the example of when she began learning to be a yoga instructor and how that impacted the way she viewed everything, how she spent her time, even basic things as to when she woke up in the morning and what she ate. Also advised by Veronica: In times of stress, do something nice for yourself. It can be extravagant, like a vacation, or less so, like giving yourself a smile. Take time to treat yourself. Veronica is continuing with a De-Stress: Part II in-person seminar taking place at Waterside Health and Fitness Club on Sunday, December 20 from 1:30 – 2:30 PM. This session is also free! You can e-mail veronica@sparkyourwellness.com to sign up. If you are like me, you crave the warmth of nutritious, hearty root vegetables in the fall and winter months. In the past few weeks, our blog has featured quite a few root vegetable recipes. To add to your root vegetable recipe repertoire, I am sharing another favorite of mine, which is my own rendition based off of many similar recipes out there. This recipe uses only my favorite (and my husband’s favorite) root vegetables, but you can certainly feel free to use a variety, including squash, rutabaga, parsnips, and more. 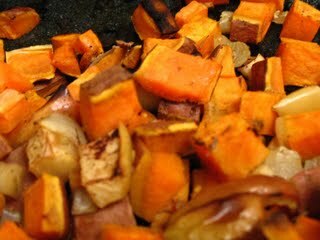 Preheat oven to 450 degrees F. Place cubed sweet potatoes and carrots in a glass baking dish and season with salt and rosemary. In a separate bowl, combine lemon juice and honey, and drizzle in the olive oil, mixing until combined. Pour this mixture into the baking dish along with the sweet potatoes and carrots and use your hands to mix and coat all vegetables evenly. Bake for 30 minutes until the carrots and sweet potatoes soften, turning at least once at the 15-minute interval. Lower the temperature to 375 and add the beets, pine nuts, and crumbling the goat cheese across the top, cooking for another 10-15 minutes. Remove from oven, let cool, and enjoy. This really is a meal on its own, and the beauty of it is that it is versatile, durable, and able to last the week for reheating at dinner — and also as a pack-and-go lunch! As a matter of fact, when I made this dish a few weeks ago, the next day I threw it on top of spinach in a Tupperware container and ate it cold as a salad with some balsamic vinegar on top. (You can always rewarm the root vegetables, too, and add them warm to the salad, which is also tasty!). I also like to serve my root vegetables with quinoa, either warm or cold. If you seek another green vegetable besides spinach to accompany, steamed green beans also pair nicely with this dish. Happy winter-weather cooking! I first started making pierogi at a very young age — I would say I was 4 years old, or possibly even younger. Anna, a woman from Poland that lived in our house and cared for my sister and me, would cook pierogi at least twice per month and, of course, I insisted on ‘helping’ her in the kitchen. (I really just had a raw dough obsession, like Hadley’s). I would watch carefully as Anna made the dough and filling, and help out with the rolling and smashing as needed. Thinking back, this is actually one of my favorite pastimes. Anna’s recipe for dough included white flour with an egg or two, some water, and just a dash of vanilla. I obviously can’t quite remember her specific proportions, and am not even sure that she precisely measured, but I remember the dough was always delicious! The insides were filled with a variety of things, usually white or red potatoes (because we children liked them most), but also with cheese, mushrooms, and other heavy, hearty fillings. My husband and I both come from Slavic backgrounds, and the pierogi dish represents your typical, Eastern European hearty food, highly based on starch, very filling, and very comforting. My husband especially loves pierogi (at least he tells me so whenever I make them for him!) They are the perfect non-meat option for his carnivorous tendencies, so during the periods during the year when we fast from meat for religious observances, I often make a big batch of 50 or so pierogi, which I freeze and use as a quick non-meat dinner. I have recently been seeking ways to make Jeff’s treasured hearty-food favorites a bit more nutritious, since he genearlly avoids vegetables, grains and fruits in his diet. One vegetable he does love (and very much so, I might add) are sweet potatoes. Filled with many vitamins, including A and C, they are far more nutritious than the ordinary potato typically used in pierogi filling. 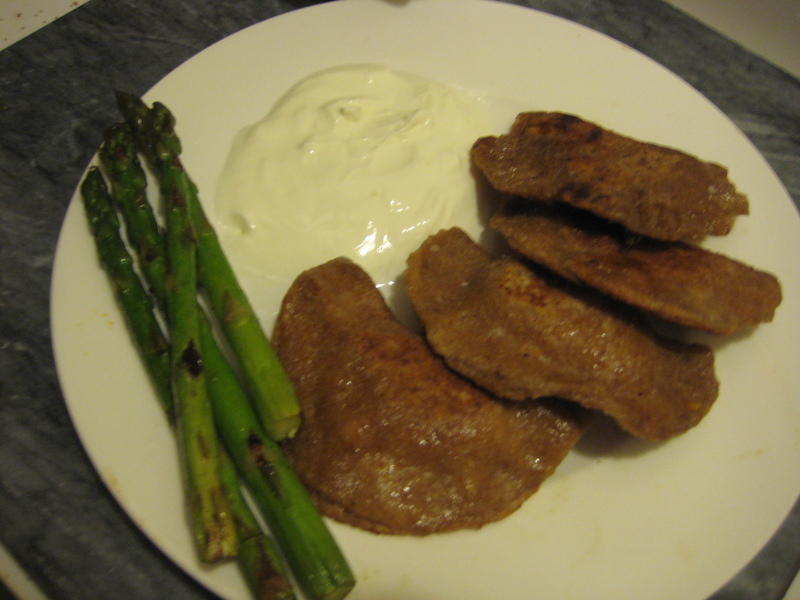 I decided to move forward with an experimental recipe for sweet potato pierogi, which I am sharing here. The fundamental differences are the replacement of white flour with a combination of wheat flour and flax seeds for the dough, Greek yogurt for the filling (instead of sour cream), sweet potatoes in place of white potatoes, and part-skim ricotta cheese in place of ordinary ricotta. Bring water to a boil and drop in peeled potatoes, allowing them to cook until softened. 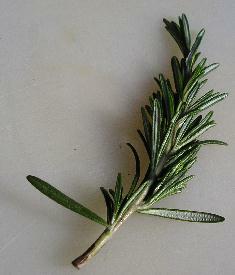 Remove, strain, and put into a bowl. (If you prefer a saltier taste in your food, you may salt your potates lightly with kosher or sea salt at this time, though I do not do this). Use a masher to mash until soft but pasty. Add ricotta cheese, greek yogurt, and flax seeks and combine with a spatula. Add honey and cinnamon for sweetness; for a more savory taste, you may leave out. Combine the dough ingredients in a large bowl, working with your hands. The dough should stick together but not stick to other surfaces. Adjust with more flour and water as needed. 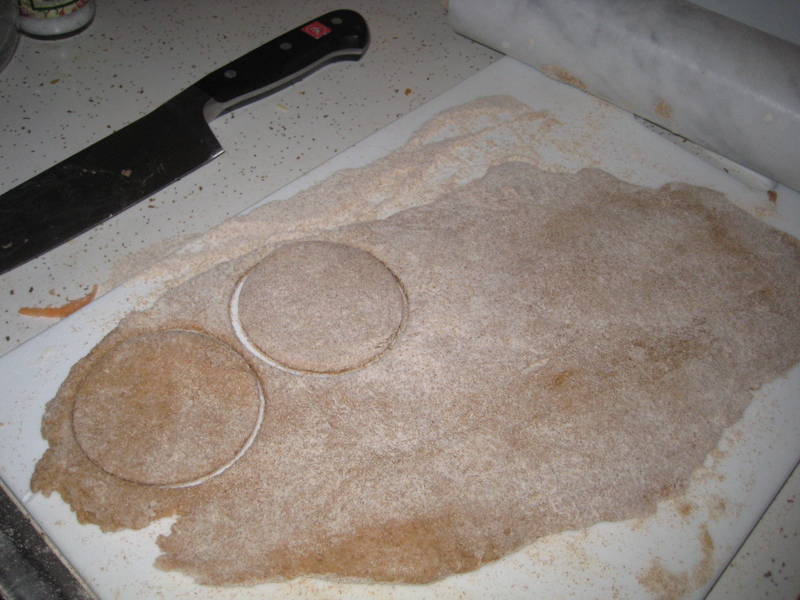 Roll out the dough on a flat surface using a rolling pin, and use a glass or cookie cutter about 3-4 inches in diameter to cut out circles. Bring a fresh pot of water to a boil. Take a circle of dough and fill with a teaspoon of the filling. Fold over and pinch using your fingers (or the end of a fork is sometimes helpful for making sure the dough sticks together). 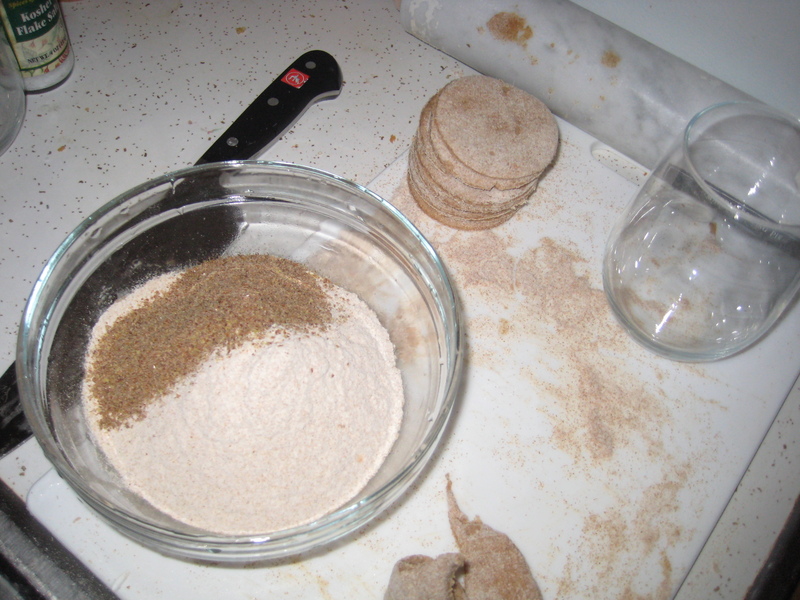 Note that wheat dough combined with flax seed make the dough harder to work than dough made with white flour. Just be gentle and try not to pull too hard when folding over your pierogi. Drop the pierogi (a few at a time) in the water and keep them in there until they float to the top, removing with a strainer. After your pierogi have boiled, you may also then transfer them to a pan, where you can sautee vegetables of your choosing (such as onions and mushrooms), along with your pierogi. My husband still enjoys his with a side of the tried-and-true sour cream, which is very typically served with pierogi, but I choose to use organic applesauce as my side of choice, and also sometimes garnish with beets. Hopefully this hearty, comfort-food alternative is as pleasing to you as it is to us! Enjoy! Further to my post about my first Bikram yoga experience, I am providing some tips for those who wish to try Bikram yoga for the first time. As with any new experience, you may have questions, fears, or other reasons for delaying in beginning your practice. These tips that I learned from my first class (and subsequent ones) will hopefully bring further clarity about what to expect. I wish I had these available to me my first time around! Your first Bikram yoga experience can certainly be daunting. And chances are, while there will be other beginners and first-timers around, there will also be many tried-and-true followers of Bikram yoga in your first class…so, it can be a bit intimidating. To be more prepared, look to these basics of what to do, what to bring, and what to expect when you enter a Bikram yoga studio. Arrive 10 minutes early to class. This allows you to secure a spot, warm up and focus, and is courteous to your instructor and fellow class-takers. Do not eat too close to the time of your class. You should arrive on a mostly-empty stomach. Dress minimally. It gets hot, and you will certainly sweat within 5 minutes of class. Most women wear sports bras and shorts or bathing suit bottoms. Men in shorts only. (I prefer to sweat a bit more, so I often wear long sleeves and pants, though you should check with your instructor first, since some do not allow long sleeves/pants). No shoes or socks are allowed in the studio. Typically, there is a locker room where you can leave everything. Bring only yourself, your mat, towels and water into the studio. There will be a mirror at the front (and sometimes the sides) of the room, and lines on the carpeting on the floor. (See photo above). Find a place on the floor so that the vertical center of your mat rests on one of these lines. This allows for optimal placing of all participants and maximizes space in the room. Your instructor will likely recommend that more seasoned practitioners sit in the front of the room toward the mirror, while beginniners stick in the back. Bring water, but no other liquids into the room, and do not bring glass containers. While I like to bring my SIGG, it can sometimes get a bit too hot to actually pick up with my hands. Take sips only between poses, not during. Bring your own yoga mat and two towels. Most studios provide both, typically with a charge of $1 each. Don’t be self-conscious! While you think that everyone around you might be staring (and trust me, some of these classes can get pretty crowded), the reality is that others are so focused on their own practice and on themselves that they don’t notice what you are doing. So, do not be afraid to move and practice the poses freely! Breathe! The breath is a huge part of Bikram yoga, as with other yoga and exercise. Breathing allows you to bring oxygen to your muscles and organs that are working for you, and also helps with detox. Your instructor will remind you of the breath during your practice, and will instruct you on proper breathing technique at the beginning of the practice. Do not talk in the studio before, during, or after class. This is courteous to your fellow classmates and helps to maintain your own focus and concentration. Bikram Yoga: Have You Tried It? For many years, I was a ballet dancer, training 5 days per week during elementary, middle, and high school. I vividly remember several of my ballet instructors not allowing the air conditioning to go on in the studio during the warmer months, despite the massive amounts of sweat rolling down the backs and faces of us dancers partaking in class. Something about “not good for the muscles…” is all I can remember hearing as their explanations. While I resented it then and wish that I could have been cooler and more comfortable, I know now that these ruthless ballet masters had the right thing in mind! Following my years of dance, after stopping mid-high school, I began to practice yoga. After a few years of intermittent practice of Vinyasa and Ashtanga yoga (which I still love and practice), I stumbled upon a specific type of yoga that was new to me, Bikram Yoga, founded by Yogiraj Bikram Choudhury. This stumbling happened during a business trip to San Antonio, Texas, where I was spending week after week in the same hotel, forced to exercise in the same boring and limited gym. Entirely bored and stuck in a rut, I decided to explore other workout options in the area. Some googling lead me to Bikram Yoga, San Antonio – and this, surely, proved to be different! Heated Studio: Tying back to my point about the lack of air conditioning in ballet class, Bikram Yoga also heeds the notion of exercising in a warmer space. Except ‘warm’ is probably a bit of an understatement. To be precise about the degree of warmth, Bikram Yoga studios are ideally heated to the temperature of 105 degrees farenheit, with 40% humidity. Why?? Series of poses: Bikram Yoga consists of a series of 26 poses that are practiced in the same order each class. Classes last for 1.5 hours. If you have taken other yoga classes before, you may notice that with each instructor and each class, the series of poses can vary. The sequence of poses in Bikram Yoga were created by Bikram to allow for the maximum oxygenation of your blood so that it reaches every last organ of your body allowing for restoration and detoxification. Since taking my first Bikram Yoga class, and several thereafter, it has become one of my favorite forms of exercise. The heated room truly helped me to make the most of my practice, and the full 90-minute class allowed for total focus, a complete body workout, and the thorough warming and cleansing of the muscles, body, and mind. After my first class, I expected to be sweaty, gross, and exhausted. And while the first two were true, the last was certainly not! I had a heightened sense of calm, an awakened mind, and a body grateful for everything I put it through. While my first class was a bit of an uphill battle due to my being out of shape, it allowed me to reach for new challenges, and gradually grow into my practice and improved fitness at my own pace. Another beauty of Bikram yoga – it can be practiced at any level! I encourage you to give this a shot, if you have not done so already; I can assure you that you will realize these benefits, and many more! If you seek a new, different workout experience and a safe, effective way to improve your body and mind in so many ways, look no further. This exercise is appropriate for individuals of all fitness levels. Seek out studios in your area today – you won’t regret it! The cold weather and winter season are quickly closing in on the Northeast, and this means that colds, germs, and illnesses affecting the immune system will be in full bloom among us. When I was growing up, my grandmother, a registered nurse anesthetist, advised me to avoid medication as much as possible; only if I was on my deathbed was I to resort to prescriptions, painkillers or pills of any kind — she advised that there was always a natural way of helping our bodies get through it. Even though she was in the field of ‘modern’ medicine, she still heeded the holistic, natural remedies of her own childhood. Whenever she visited our house around the holidays and noticed any of her grandchildren getting sick, she would have us take a steamy shower, followed by cup of warm herbal tea, which we used to swallow a clove of (raw) chopped garlic (drenched in honey to help it go down). To me, she was just my crazy Grandmother doing another one of her crazy things. Turns out that she had something here! This seemingly unconventional treatment actually makes sense according to various health-expert sources, including Dr. Andrew Weil, and a recent study mentioned in the New York Times. Garlic has shown to be a powerful natural therapeutic herb. In addition to its ability to help lower cholesterol and high blood pressure and preventing heart attacks, it also has antibacterial and antiviral properties that make it a viable choice for treating the onset of a cold! Garlic’s natural disease-fighting capabilities are attributable to allicin, a compound found in highest concentration in garlic, and in lesser concentration in other white vegetables (like onion). (Allicin is also responsible for garlic’s pungent smell). Note that garlic must be chopped and exposed to air for at least several minutes in order for allincin to be present and effective when the garlic is eaten. The next time you feel a cold coming on, think twice before you pop a pill. First try garlic. Chop up a clove or two of organic garlic and swallow when the onset of a cold first appears (using honey – trust me, you won’t taste a thing); alternatively, you can chop it up even more and add it to your foods. Just make sure it is eaten raw; garlic loses its medicinal value when cooked. Warning: The pungent smell of garlic can come through your pores and breath and cause unpleasant odor. If you expect to be in public, plan to wait at least 12 – 24 hours before going out, and definitely try to work out, sweat, and shower before doing so. Also, eating parsley can naturally mitigate any bad breath caused by the garlic.